922 - Volga Bolgaria accepted Islam religionas state religion. 985 - Volga Bolgaria declared peace treaty with Kievan Rus. 1005 - Kazan city was founded. 1212 - First Tatar literature work - epic poem named "Kyssai-Yusuf" (from Tatar people language it means "Tale of Yusuf"). The author of the poem was Tatar poet Kul Gali. 1446	- Kazan city is the capital city of Kazan Khanate. 1486	- "Eternal peace treaty" between Russia and Kazan city. 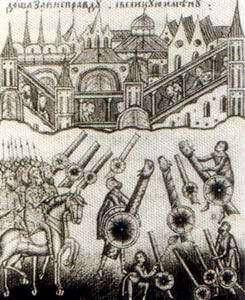 1552	- Ivan Grozniy (Russian Tsar) siege of Kazan; fall of the Kazan city. 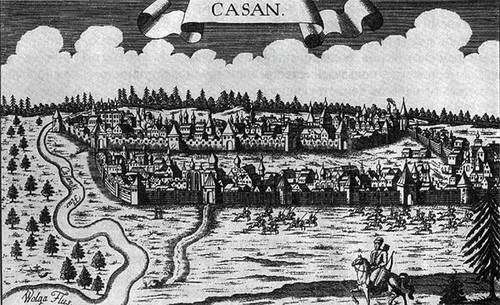 1708	- Russian Kazan is thecapital of Kazan province. 1742	- The highest peak of persecution of Muslim peoplefor their religion. 1774	- Kazan city was captured during the rebellion of peasants headed by E. Pugachev. 1788	- Catherine II returns the right to worship religion of Islam. 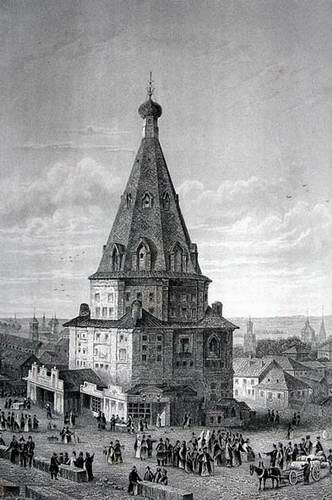 1801	- The provincial publishing began in Kazan city. 1804	- Kazan University was founded. 1886	- The birth of great Tatar people poet - G.Tukay. 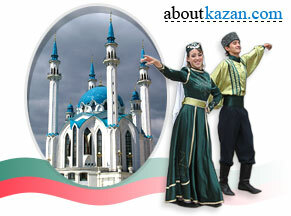 1906	- First in Kazan city public theater performance played in Tatar people national language. 1917	- "Republic beyond the Bulak" was defeated by Red Army troops after the October 1917 Bolshevik revolution. 1989 - The celebrations of 1100th anniversary of Islam religion acceptance by people of Volga area according to Muslim chronology. 1990 - Tatarstan Republic signes declaration of sovereignty. 1994 - Two-way state treaty between Tatarstan and Russian Federation was signed. 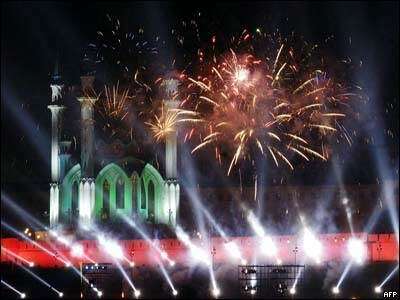 2005 - Kazan city millennium celebrations.